This tutorial makes extensive use of the BBC micro:bit. If you haven’t purchased a BBC micro:bit yet you might want to head over and pick one up now. We would recommend that you pick up the BBC micro:bit, BBC micro:bit breakout board and a breadboard. The BBC micro:bit breakout board and breadboard makes working with the BBC micro:bit a lot easier. We will be using the official online python editor to write code for all our tutorials. Test out the editor by clicking on the following Link. 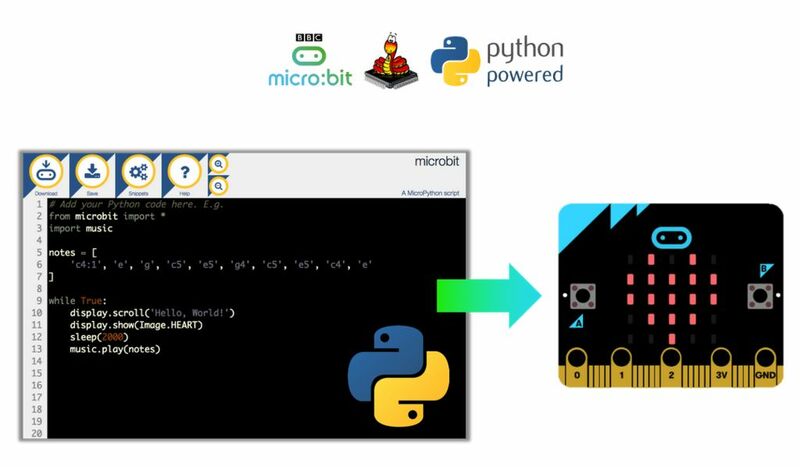 Your micro:bit python editor should open up in a new window.